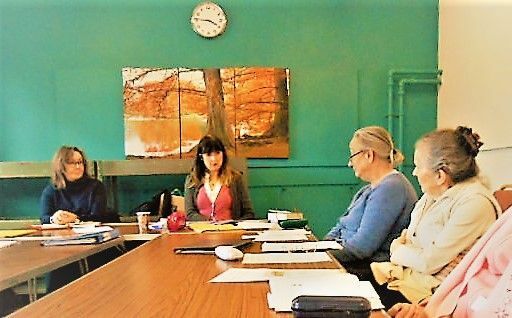 On 7th February we were delighted to welcome Della Galton to our meeting. Della has built up a most successful career around the many skills she has developed through her love of writing. We learned about the many failures - and successes - and much more. She also gave us a workshop on flash fiction, allowing us only a few minutes to write the beginning of a story we could use later. Whilst going round the room talking through our efforts, she unintentionally demonstrated how to give an interesting and constructive critique to each and every one of us. All in all a brilliant afternoon. On 21st February we were joined by Jim Woods. Jacqi received quite a few comments following the event and the consensus was that we will be able to develop and use some of the techniques and devices illustrated in iur own writing, both poetry and prose..